If you're looking for the perfect accessory to finish off your outfit with puggy goodness, then look no further! 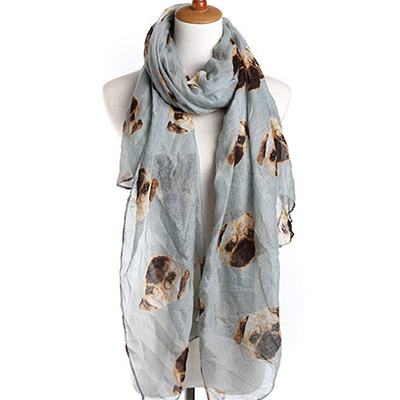 This pug print cotton voile scarf is lightweight and ideal for year-round wear. It measures 180cm x 90cm (71 inches x 35 inches).